It is very important to keep track of your weight loss and measurements but at the same time you do need to be realistic and not step on and off the scale 3 times a day, as you will certainly drive yourself insane, become demotivated and even a bit down. Don’t let this get to you… this is a mistake many dieters make.. the scale will not always register your weight loss but that doesn’t mean it’s not happening. In many instances you are still losing centimeters and your body shape is changing at the same time, so there is absolutely no need to panic …you will soon see more weight loss when you step on the scale again, in a day or two. Goals are important for weight loss and for following through with your plan. Having a clear vision of what you want to achieve is essential to a successful weight loss plan but so many people end up giving up because they expect instant results and they become obsessed with the scale. 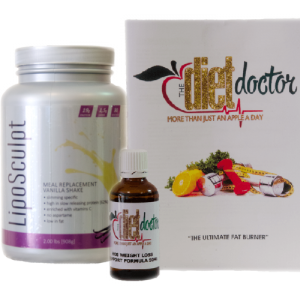 Can HCG Diet System Help Me Lose Weight? The HCG diet protocol really does work and pretty quickly, the problem is that we become overwhelmed when the scale doesn’t budge, which makes us want to throw in the towel. You need to commit to the journey if you want to see results and you need to be realistic about your progress as well. The body weight can and does fluctuate normally and will even do so whilst dieting depending on how much water your body is retaining etc. if female it could be just before or during your menstrual cycle. There are a number of things that can cause a plateau in your weight loss however if you persist and stick with it this plateau will be over and you will soon see the scale register even more weight lost. Nothing works better than this HCG Diet and I know if you stick with it you will be absolutely over the moon with your end results.